It’s that time of the year again! 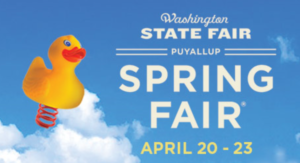 The Spring Fair is only a few days away! 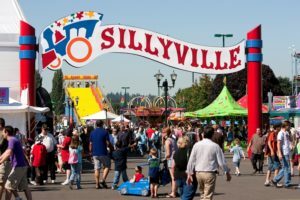 Pretty soon the Puyallup Valley will have the aroma of mixed fair foods that will draw you through the gates and take you on a fun-filled Spring Fair experience. 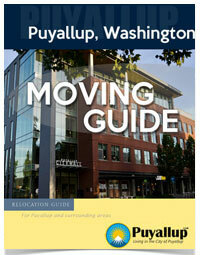 Learn more about Puyallup if you’re new to the area. What will your first food stop be? An elephant ear, cotton candy, scones, or krusty pup? Spending time with family, friends, and loved ones at the fair is a fantastic way to make memories. There is truly something for all ages to enjoy! Read on to find out what events, rides, food, and activities will be at the fair! There is so much to do, and so little time, we hope you squeeze in everything you want to see and do to maximize your fun! 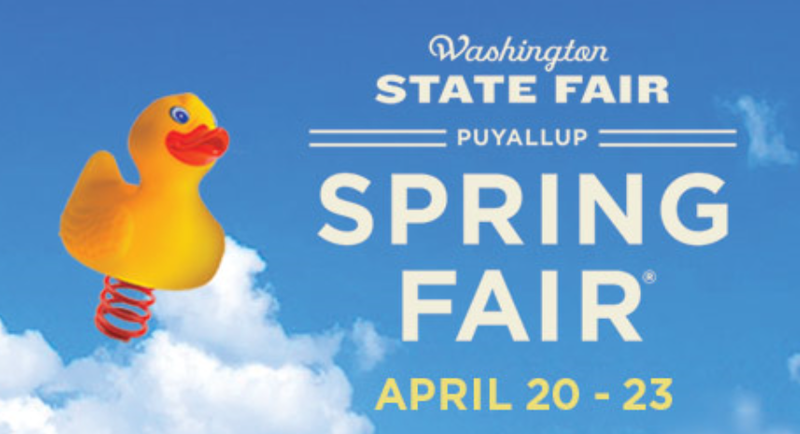 The Spring Fair is running from April 20th-23rd, so make sure you don’t miss it! For the best deals on ticket prices, get them before April 20th! Speaking of deals, the Fair does a great job of giving special deals on rides, food, and other activities. 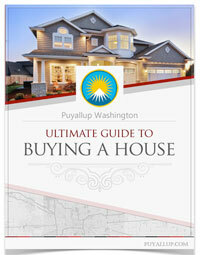 Click here to find great deals and save some money! Spring Fair gate admission is FREE for active, retired and reserve military and National Guard and their dependents, plus disabled veterans with a valid military ID all day on Friday, April 21, 2017. Show ID at gate turnstile. 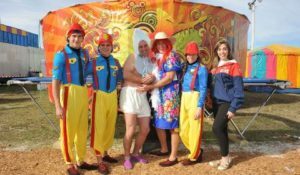 The Spring Fair is hosting a variety of attractions this year. Check out the Farm Animals at Fun on the Farm or be dazzled at the Spring Fair Laser show. The attractions offer a wide variety of entertainment, and you are sure to find one that will entertain your specific tastes. Click here to explore all the different attractions and make it to the one that you are most excited for! It’s Motorsport Mayhem all weekend long at the Washington State Spring Fair. Tricked out monster trucks and smashing cars collide for an action-packed event you won’t want to miss! Check out the different events Motorsport Mayhem will be hosting! 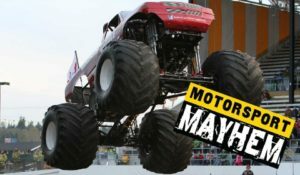 These include the Monster Truck Show, Slamfest Demolition Derby, Monster Truck Rides, and Motorsport Mayhem Pit Parties! If you are ready to see a little mud on some tires, this is the event for you! One of my favorite parts of the fair is seeing all the different animals! It’s so fun to see so many different kinds of animals in one place. 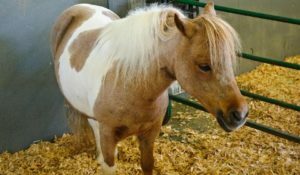 Come check out all the different furry and friendly animals at the fair! The llamas, miniature horses, and pigs never disappoint! What is your favorite animal to visit at the fair? It’s great to learn about agricultural animals and talk with those who take care of them! There is a lot to be learned! The Spring Fair hosts some terrific free music and entertainment events! From Celtic musicians, magicians, and trick shows, you will sure to be amazed by the talent at these events! For a full list of free music and entertainment, click here. There is plenty to keep your kids entertained and having fun at the fair! Check out the different events. 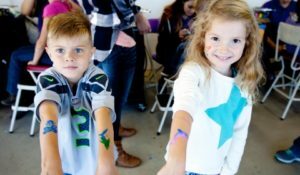 Face painting, a STEM showcase, and racing pigs are just a few of the events that your kids are sure to love! You don’t have to break the bank for a fun day out with the family, many of the kids fun activities are free. BBQ, hearty brats, roasted corn, onion burgers or farm-fresh salads, ice cream, crepes, funnel cake, caramels apples, fudge, cotton candy…are you hungry yet? 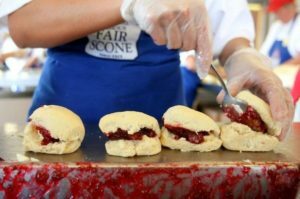 The smell of fair food is one that brings back nostalgic memories and keeps us coming back for more every year. Enjoy many of your favorite rides like the Wild Cat, Giant Slide, C.P. Huntington Train, Extreme Scream, Classic Coaster, Antique Merry-Go-Round and much more. With 43 rides to choose from, there’s something for all ages and adventure levels. Shoppers Unite at the Spring Fair to check out over 300 different vendors all in one convenient location! 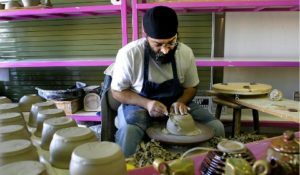 If you want to shop efficiently, the fairgrounds offer great deals and items to pick from! 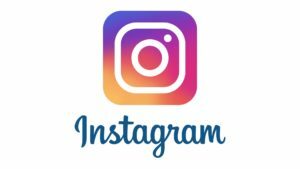 If you’re a social media lover, check out all the documentation from the 2016 Spring Fair here. It’s sure to get you excited for the fair this year! Check out some of these artsy Instagram pictures that fair goers captured. You don’t want to miss the Spring Fair! Remember, get your tickets before the 19th for discounted prices! People are drawn to the fair for many different reasons, and whatever yours is, we hope that it is a fun-filled time! The countdown to the fair is on! See you there!